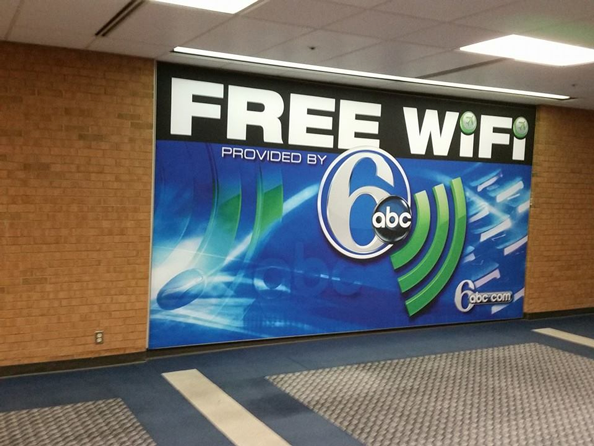 One of our readers noticed that WPVI-TV, the Philadelphia ABC O&O is using its brand to sponsor free wifi service at a local airport. 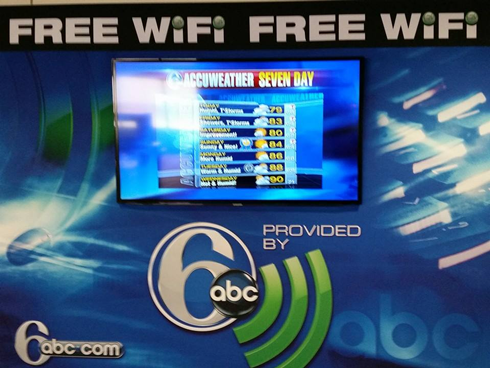 The station has partnered with Lehigh Valley International Airport, a smaller airport located in Allentown, Pa., a city about 60 miles outside of Philadelphia, to offer travelers free wifi as well as a video feed from the station. The Allentown area is technically part of the Philadelphia DMA, but is also host to several television stations that are licensed to the city. One of those stations, WFMZ-TV, produces a significant amount of local news and also reaches the Philadelphia area via cable, so, by advertising itself in this region is a strategic way for WPVI-TV to attract viewers and raise brand awareness.